A really easy repurposing craft project for little ones to do. 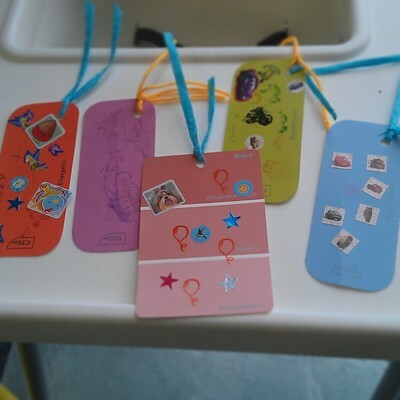 Paint sample decorated bookmarks. 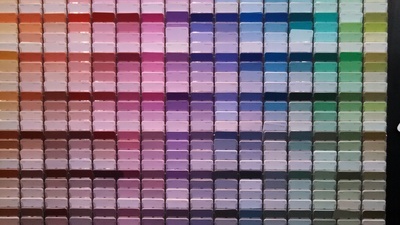 Collect an array of coloured paint sample cards from your nearest hardware store. Rectangular ones work best. Punch a hole in the top of the card. Thread string through hole for bookmark tag. 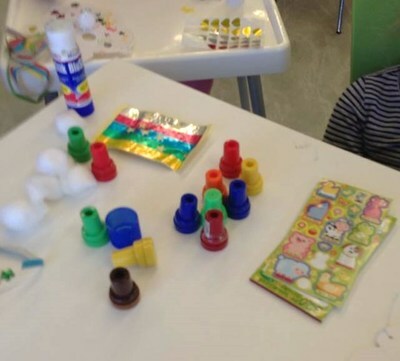 Allow children to decorate as they please.